The most exciting changes (for me at least) are the addition of support for rendering arcs, rectangles and rounded rectangles, these can be filled with solid colour / bitmaps or rendered with an edge stroke that can also be solid colour or bitmapped. I found that these objects come in very useful when it comes to UI. If you look in the actors property panel in Goji you will notice a new “RenderAs” property. 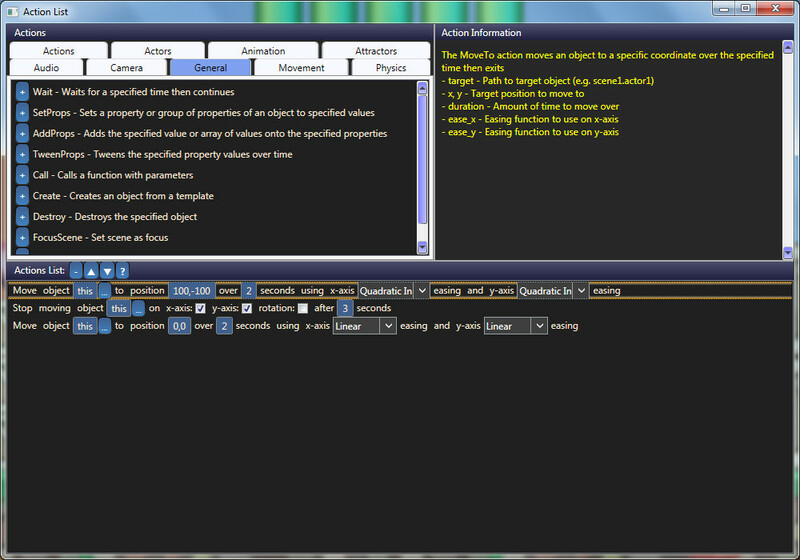 Changing this enables you to tell the engine to override the default rendering to render the actor as an arc or rect. Additional properties have been added to allow you to specify properties such as corner radius for rounded rects and thickness. If you are interested in seeing the code that generates these shapes then take a look in CzGeometry.cpp. Another addition that I decided to port across was bitmap brush animations. 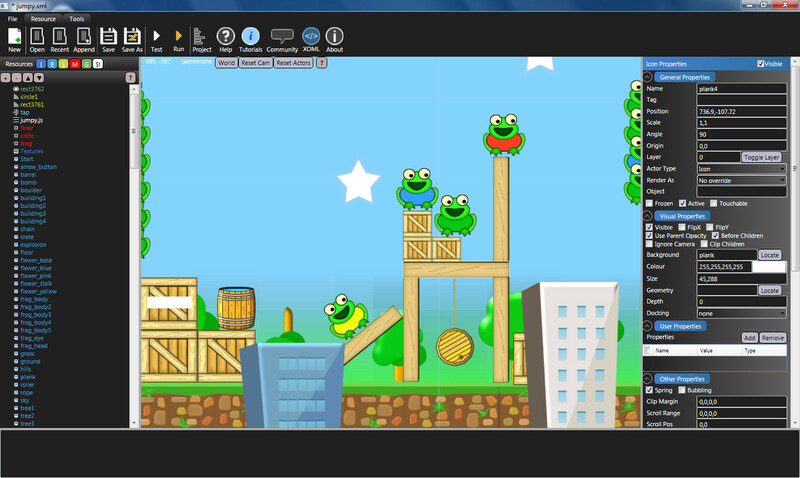 Its awkward having to set up bitmap animations in XOML so I made it easier. You can now add individual rectangular frames to a brush to create an animation (Goji shows a preview of the animation). Once the brush is attached to an actor an as long as the Playback speed is set to something other than 0 then the animation will play. You can also override the order in which animation frames are played by setting your own animation frame indices in the Anim Frames properties box. 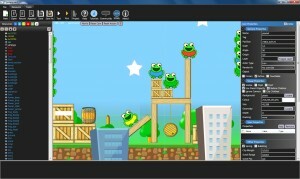 Booty5 enables you to produce HTML5 based games and apps for mobile and desktop using a WYSIWYG game editor. AppEasy version 1.5.0 is now available for download from here. Please upgrade to the latest version. Note that before updating, close down your current version of AppEasy, rename c:\AppEasy to c:\AppEasy2, install and run AppEasy 1.5.0 then copy any changes / certificates from c:\AppEasy2 to c:\AppEasy. Note that if you install the update before renaming c:\AppEasy then simply exit the AppEasy project manager, rename the folder and run AppEasy again.